Sunday 6th April is our next Work Day – and an important one as by May buds will be breaking etc. hopefully! 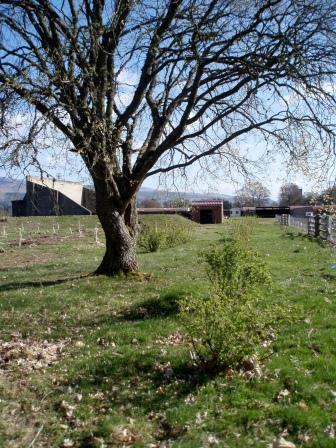 The Open Orchard is looking very good, thanks in no small part to Callum, who has done a power of work for us feeding, the trees and then placing cardboard and chippings round them to help keep the weeds down. On the 6th, tasks will include last minute pruning and the use of spacers, ties and festooning to encourage open growth of trees; beating up in the edible hedge, i.e. replacing failed bushes; completion of weeding, feeding and mulching of trees on the assault course. There is some soft fruit pruning to be completed too. All welcome, equipped for the weather that day, with substantial footwear. Come for the day with your lunch – a very sociable time – or come for an hour or two to help, or drop in to find out all about the orchard and those helping to maintain it. Please look out the garden tools you no longer need, and bring them up that day!